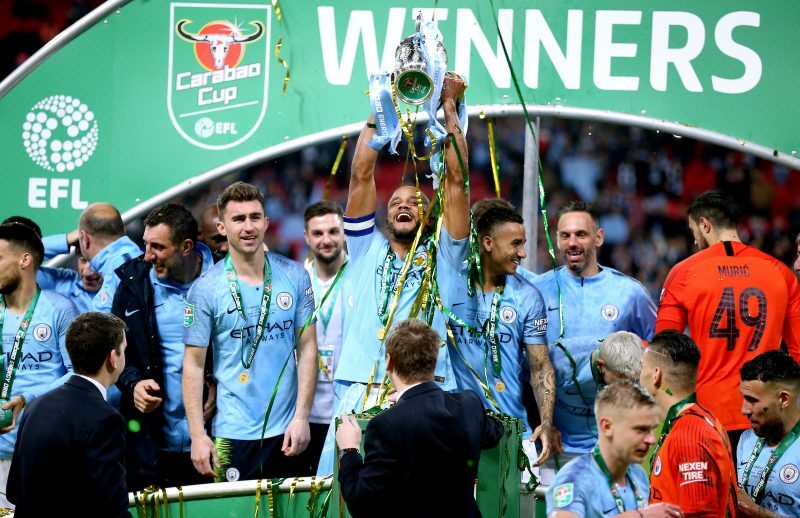 Manchester City’s quest for a quadruple is more likely than ever according to bookmakers, who are preparing for a seven-figure payout after they advanced to the semi-finals of the FA Cup. Paddy Power now make it just 9/2 that Pep Guardiola’s side win the Premier League, FA Cup and Champions League after already securing the Carabao Cup trophy. It’s even more astonishing that they are now odds-on at 5/6 to win a domestic treble – with both prices the shortest any team has ever been for a quad or treble win. Many punters got on City at 100/1 to land the quad at the start of the season, with the price dropping to single-figures in February following Liverpool’s draw with Man United and their coinciding League Cup win, and the Irish bookies face a seven-figure payout if they do go on to make history. Elsewhere, title-rivals Liverpool are now odds-on to win no trophies this season (4/7) or 12/1 to win the Premier League/Champions League double. Spokesman Paddy Power said: “Man City’s comeback victory over Swansea on Sunday had our trading floor sweating, as they edge closer to a historic quadruple this season. Odds accurate; 18/03/2019 12:00 am.